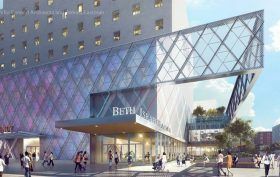 Mount Sinai Health System announced on Tuesday that phase one of a $500 million project to rebuild Mount Sinai Beth Israel and create the new “Mount Sinai Downtown” network is set to start. The network will expand and renovate three sites of outpatient facilities, according to the hospital, which will stretch from the East River to the Hudson River below 34th Street. The network will include 35 operating and procedure rooms and 16 physician practice locations with more than 600 doctors.